Today the first of the seven phases of Lok Sabha Elections 2019 went underway in India; we had 91 constituencies spread across 20 states that went for polling. 14.21 crore Indians are expected to have casted their vote today. 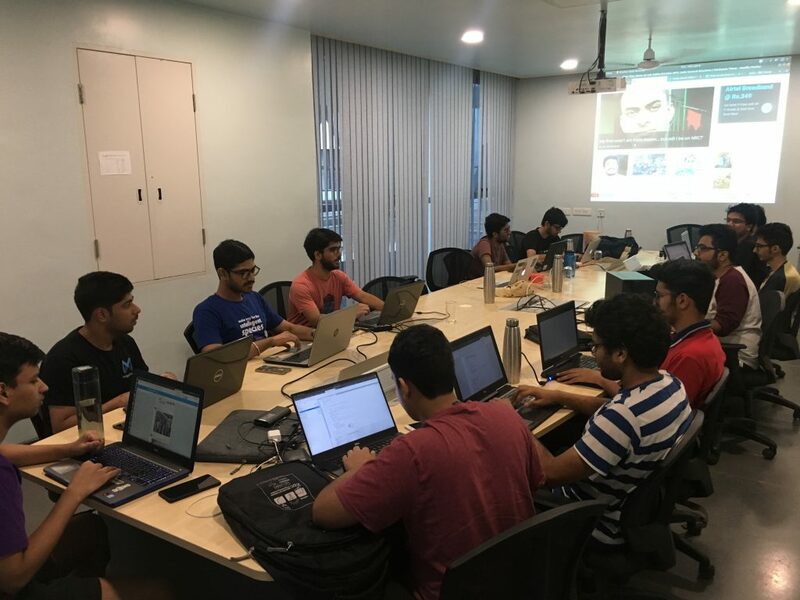 We collected Twitter data using 123 hashtags, and collected over 2 lakh tweets from 0300hrs until 1900hrs (stay tuned, we will make these data public soon). The cumulative distribution graph of the Tweets posted over the duration of the data collection with the top 5 hashtags can be seen below. The same graph, but depicting the Tweets posted with the top 5 mentions can be seen below. 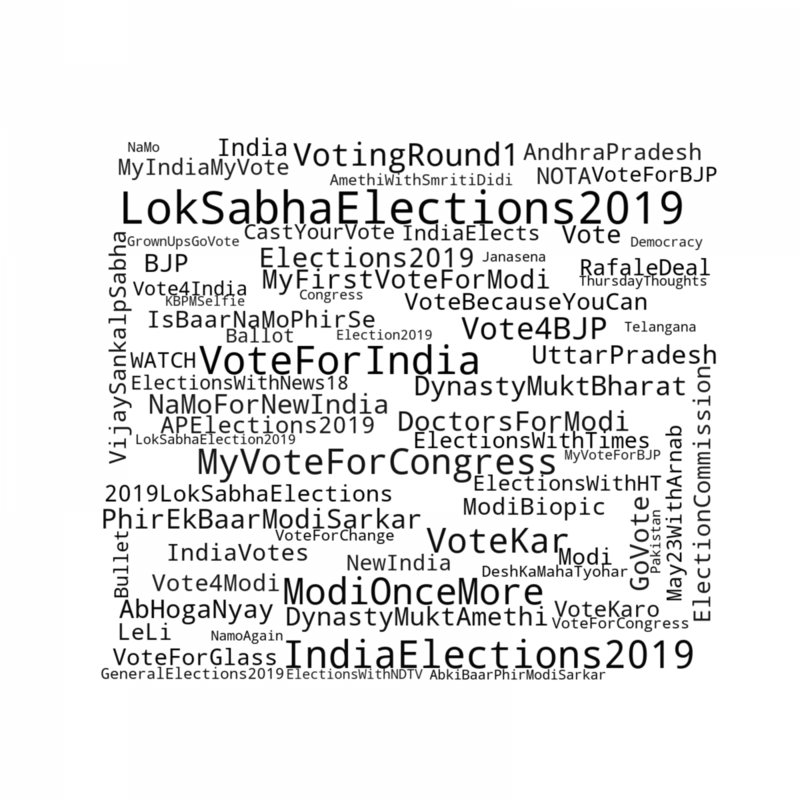 Further, we share the tweets that define the window of our data collection – that is, the first tweet that we have in the data collected, posted with #LokSabhaElections2019, and the link to the last post (retweet of this tweet) that we got in our data collection. 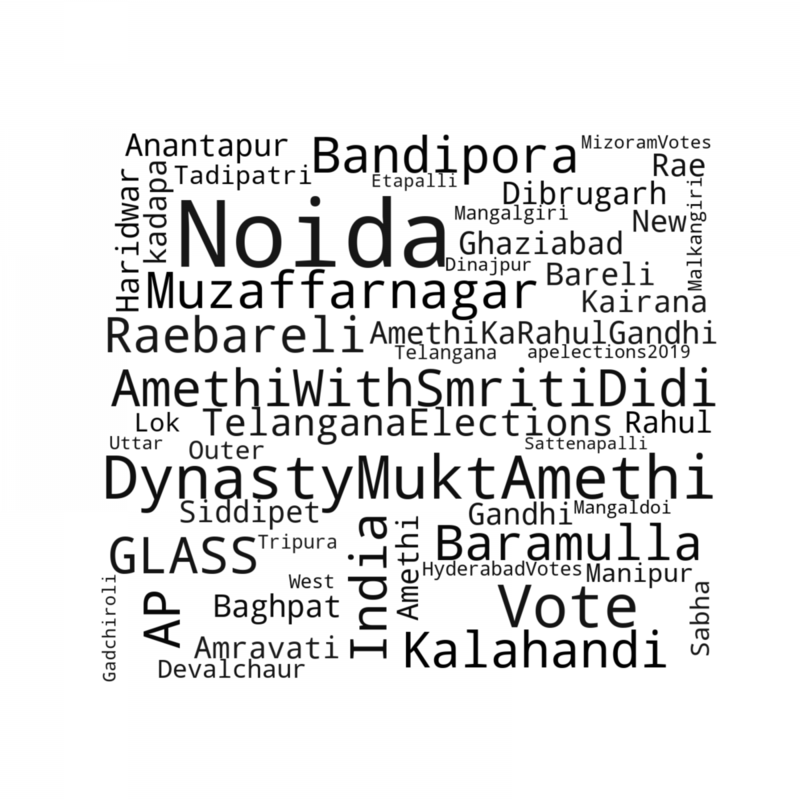 We also analyzed the tweets we collected for hashtags, locations mentioned in the tweets, and names; the graphs below show the results from these analysis indicating tags that were trending through the day. It was interesting to see people come out, vote, and share their inked pictures on social media, some of the relevant hashtags that were trending related to this are #VotingRound1, #VoteKar, #KBPMSelfie, and #GotInked. Among all hashtags, #VoteKar was very popular with the total number of tweets with this being 10,779. The table below lists all these hashtags with the tweets that were made using them, and the tweets that contained an image of an inked finger. 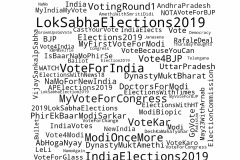 To understand the citizens who cast their vote for the first time, we collected data for particular hashtags that indicated this; the hashtags that were trending today on this thread (values in parentheses show the number of tweets collected) are: #firsttimevoter (1,051), #MyFirstVoteForModi (3,676), #powerof18 (195), #firstvote (93). 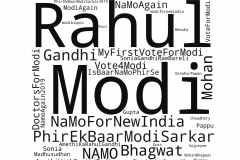 We found 3,348 unique users posting these tweets; we analyzed the occurrence of BJP, INC, Congress, Modi, Rahul, Raga, and Namo along with one or more of the hashtags mentioned above. 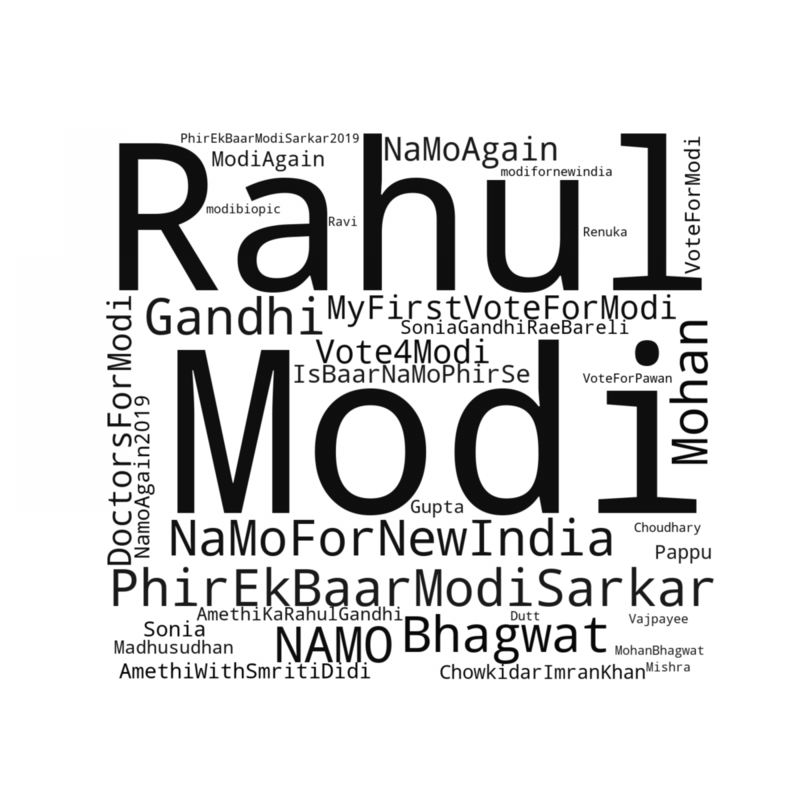 We found Modi appearing 1,661 times and Rahul appearing 984 times. 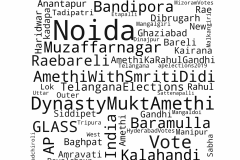 Of the 1,268 verified handles that we are collecting data for, we found 33 verified handles to be contesting elections today, among whom 13 tweeted their inked status. We were interested in analyzing the constituencies, and candidates in the constituencies. For this we collected all available information (the Candidate Name, their Party affiliation, and their submitted Affidavits) from the Election Commission of India’s website. In total, we found 1,279 candidates contesting the elections today, amongst which 561 (43.9%) were independent candidates. An interesting observation was Nizamabad in Telengana, which stood out with 178 independent candidates. We visualized the heatmap of candidates (top visualization) in each constituency and a heatmap of candidate affiliated parties except BJP, INC, and independents (bottom visualization). We found five constituencies (37-Aurangabad, 11-Bhandaragondiya, 1-Mizoram, 11-Baghpat, 3-Muzzafarnagar) as regions where Congress was not contesting, while five other constituencies (24-Rajampet, 11-Kaliabor, 14-Yavatmal-Washin, 9-Ramtek, 1-Nagaland) where BJP was not contesting a single candidate. We also found two constituencies (39-Nawada and 40-Jamu(SC)) where neither BJP & INC contested a candidate. We were able to find 208 candidates’ Twitter handles (of which 33 were verified) of candidates from phase 1, which we gathered by annotating manually; we believe this can be very useful for other researchers, and hence, are making it public here (JSON file). From the visualization depicting the number of parties contesting in a constituency (barring BJP & INC affiliated candidates, and independents), we found Nagpur to have the most parties competing for a single seat with 15 candidates from various different parties. Stay tuned as we release more analysis for today as well as on our coverage for the up-coming phases of the Elections. To access our complete dashboard with interactive graphs, and data, please visit here. Below is the picture taken around 0715hrs this morning with the students who are working on this analysis. With students who are the muscle behind all the analysis that we are doing.